Melaka is Malaysia’s unofficial historic capital. The charms of Asia and Europe have provided Melaka with a multicultural heritage. 15th century Malay sultanate and the Portuguese and Dutch periods beginning in the early 16th century, and then the British in the 17th century .. all blends perfectly with contemporary urban life. Its uniqueness can’t be found anywhere else in the world. On 7 July 2008, Melaka was declared a World Heritage City by UNESCO. There’s so many things to do here and so many places to visit. When traveling, time is always not on our side. If you only have 1 day to stop in Melaka, I would like to propose that you visit the places below. Something is not right if history is not included in your ‘visiting Malacca’ schedule. 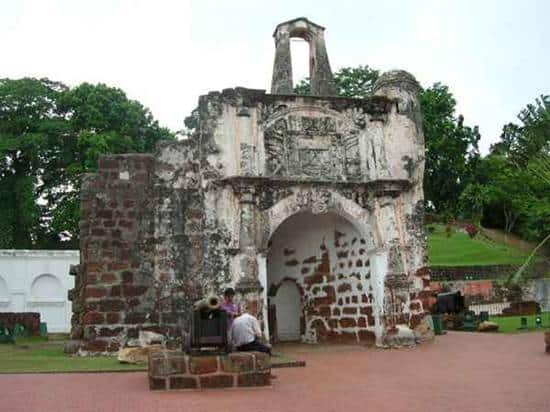 Popularly known as A’Famosa, the fort is another remarkable hallmark of Malacca promoting an attractive site for tourist to learn more on Malacca history. A’Famosa is one of the oldest European architectures that still survive in Asia. Built under Alfonso de Albuquerque’s command, the Porta de Santiago served to secure the position of Portuguese after taking down the throne of Sultan Malacca. It took people’s lives, including Portuguese and slaves, to complete the fortification from the attack of Sultan of Malacca and the Acehnese. The fortification made Malacca a walled up city from all around the St. Paul’s Hill and sea front as well. This large fortress included gates, watchtowers, various government buildings, churches and residences. The Stadthuys Malacca was built in 1650 after the fall of Portuguese, the building projected an excellent sample of Dutch-style masonry. The building got its name from Ancient Dutch language which means the town hall. Local residents refer this building to a Red Square due to its alluring terra cotta feature. There is an unconfirmed story on why it was painted in red color. Some said that the Dutch needed a remembrance of homeland by painting it in red brick stone color. Some said that the red came from the people who hated the Dutch and spitted out their chewing betel or sireh to its original white wall. It is indeed an amusing and creative story utilizing local culture and sentiment of colonialism. 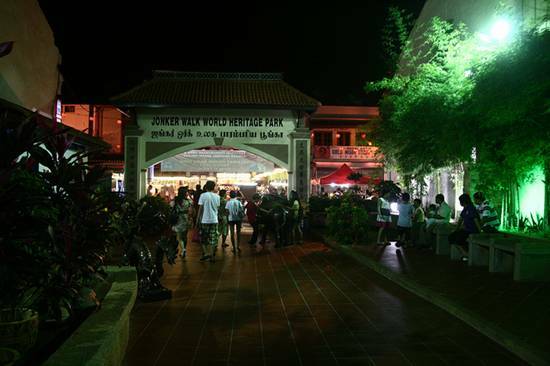 Jonker Walk is famous for its collection of antique stores and it is also one of Malacca’s most popular tourist spot for its Friday and Saturday Jonker Walk Night Market. On weekends, the place comes alive when the sun goes down. With a number of bars blasting a mix of live music, it is like a mini street party all over the place. Other than antiques, there are many stalls that sell everything but the kitchen sink. You can find souvenirs, tasty Asian cuisine and delicious knick knacks at dirt cheap prices. Even the ones that you would never imagine,, such as ice cream on fried egg and fried radish cake. This is the place to absorb the vibrant scene of night at Malacca. 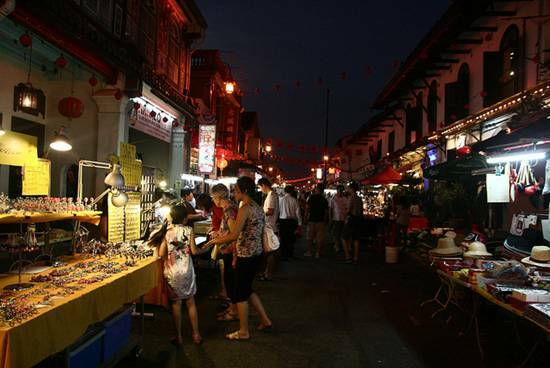 If you only can spare one night in Malacca, it’s best to visit Jonker Walk during the Chinese New Year. It will be decorated with lanterns and also lion dance performance on the streets. In addition to the attractions above, Malacca offers many other sites you must visit. A visit to Malacca is a lifetime experience that changes your life. Stay tuned. Hi there very nice site!! Guys .. Excellent .. Wonderful .. useful information, thank you for sharing. Thanks for vising and leaving a comment here at MC.